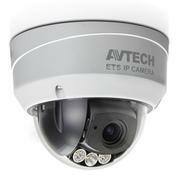 AVM2220SE - AVTECH 2MP Outdoor/Indoor Infra Red (IR) PoE Turret IP Camera. AVM521 - AVTECH 2MP Indoor Standalone Push Video PoE Infra Red (IR) PoE IP Dome Camera with built in Microphone and Passive Infra Red (PIR) Sensor. 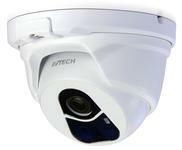 AVM2453 - AVTECH 2MP Outdoor/Indoor "Solid Light" Vari-focal PoE Bullet IP Camera. IP-102-5MP - 5 MegaPixel (2592x1944) POE Varifocal IR Vandal Dome IP Camera. IR effective range up to 30 meters (90 feet). IP-101DF-5MP - 5 MegaPixel (2592x1944) POE Fixed 2.8mm Lens Array IR Dome IP Camera. IR effective range up to 40 meters (120 feet). 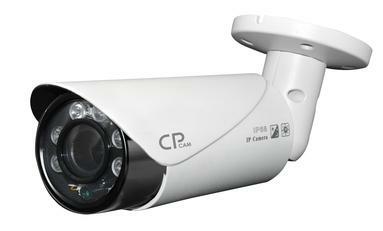 ​IP-201-5MP - 5 MegaPixel (2592x1944) POE Varifocal Array IR Bullet IP Camera. IR effective range up to 40 meters (120 feet).